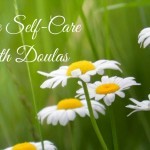 Life Balance + Your Doula Business - Can You Have Both? 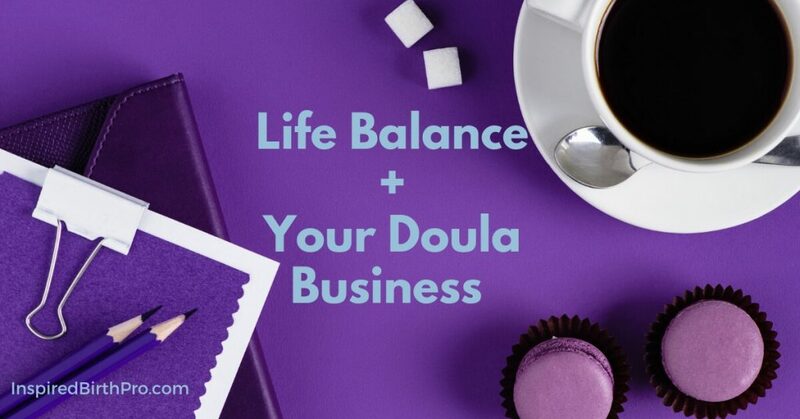 Life Balance + Your Doula Business – Can You Have Both? 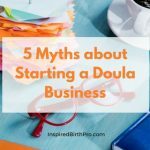 My son is not a doula, but the struggles he's facing are similar to those that doulas, other birth professionals, and small business owners in general commonly experience at one time or another, so... here's our little story. My son is a sophomore in college now. I've written about him before and his ability to manifest almost everything he sets his mind to do. Well, he's gone and done it again. During winter break, he decided to start a new business, and, not surprisingly, it's taken off. He's now back at school with a full load of classes, and early this morning, I received a text from him. It's been two weeks since school has started and he's struggling to balance his business, school, his self-care, and most importantly, his friendships. In his excitement to get his new venture going, he's put a lot of time and energy into it, and it's skewed his priorities. He's stressed out because he can feel the imbalance in his life and he's having trouble keeping up. And it feels lousy. As a mom, I felt for him because hey, most moms don't like when their babies are feeling bad. However, I'm actually a bit grateful that he's being presented with this learning opportunity at such a young age. He told me he wants more balance in his life, and most importantly, he wants to keep his friendships alive. That's one of the side effects of growing a business. Think about a row of drinking glasses, say four of them, and each one represents an important area of your life - business, friends, self-care, and school. All the energy you have is poured amongst those four glasses. To fill the business glass with all your energy means it has to take some of the energy from the other glasses. Life "balance" is a myth. I feel like I poured friends and self-care down the drain, and 3/4 of school out. I put my coach hat on and asked him what he needs to do and we talked about priorities. One thing about having a business is... money can help by giving you some additional energy that can be poured among those glasses. It can help you get back some of your time and help you replenish and redistribute your energy to other glasses. Invest money in automation tools and people so he can get some time back. Adjust prices accordingly to cover his new expenses. Consider ways to create passive income to sell and serve without his direct involvement with customers. 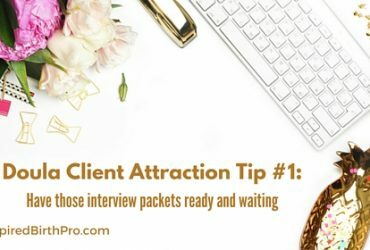 Then I asked him to identify his bottlenecks - activities that are taking up way too much time - and I challenged him to figure out what has to happen to get his administrative business tasks down to 1 hour a day. 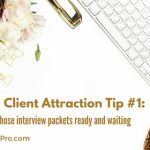 He pointed out client onboarding and some specific tasks that he does to run the business as the primary time suckers. 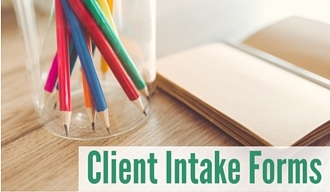 I suggested some client management tools that can help eliminate some of the work he's doing manually. I also told him to consider outsourcing some of the repetitive tasks to a virtual assistant or two. Finally, I suggested he invite a couple friends to lunch so they can reconnect. He's decided to stop taking on new clients, make better use of his free time (like sleep and spend time with the people he cares about), and look at some of the tools and contractors I suggested to him. He's also seeking out a business mentor on campus as well as taking advantage of the business support that is available to him through his university. I believe there are seasons in our lives and even within each year, where some aspects of my life will take up more of my energy than others. For example, when the kids were younger, I kept my summers and winter breaks open so I could be with the kids. The start of my "year" was always the end of August when school started because my kids' schedules dictated my work schedule. Over the years, I fell into a rhythm with my business and learned what to expect at different times of the year and how to plan my business and family time. For many business owners, the most difficult times in terms of feeling "balanced" are at the start of a new business or when new services are being added. At these times, the learning curve is often steep, new systems are being developed, and there is a lot of trial and error as procedures are mapped and ironed out. It's during these periods when there are a lot more late nights, a messier house, takeout food, and not as much attention available for loved ones. 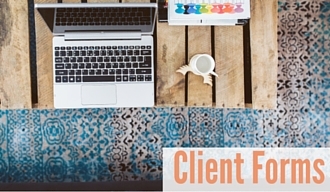 This can take new business owners by surprise. It's not until the business is humming along at a steadier pace that we have more time for ourselves and others. At this point, our systems are established, schedules might be more predictable, and instead of learning and implementing, the business is more streamlined and buzzing along. But then we get excited again about adding something new, and the tidal wave of busy comes back until we reach a new normal again. That's what's fun about business to me... connecting with people, learning more and creating things to share with the world that will make their lives better. I'm not good with the status quo or doing the same thing for a long time. My kids spent their formative years in Montesssori school learning that "work" was made up of activities that felt interesting and good to them, and they could engage with their work for a long period of time. I think that this, along with them growing up in a household where they saw their parents engaged and interested in their businesses, shaped them both in their interpretation of what "work" means, which is doing what fills them up, rather than investing a lot of energy in activities they don't enjoy. In contrast, my kids also witnessed the lows when business was slow or the stress caused when our businesses were way too busy. But, they also learned how to bounce back, learn lessons and grow from watching us. And now, my son is getting to learn firsthand what it means to find his new rhythm and what is sacrificed in the name of entrepreneurship. I'm glad he's learning it now while his dad and I can help to guide and support him and at a time in his life where he's not fully having to "adult" yet. 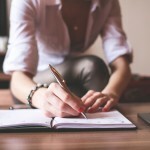 Know your why - Why are you in business? How will this help you personally as well as financially? Remember who is most important to you - Don't take your relationships for granted. There may be seasons of busy times for your business, but you still have to nurture your relationships and it helps to have a plan to do so. 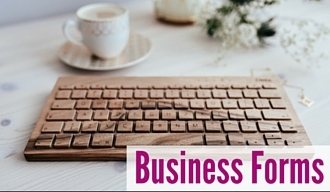 Get support for your business as well as your personal life - You've got time and money to give to your business. What balance of these will help your business run and give you time to nurture yourself and your relationships? Practice self-care - Fill your own cup so you can nurture yourself and those important to you. Are you currently struggling with finding a good rhythm for your business? 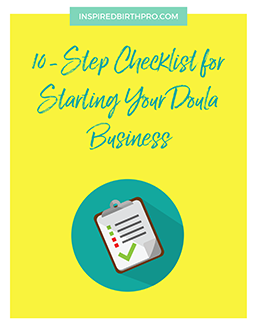 Have you experienced a highly stressful period while starting or growing your doula or birth business and found ways to become more efficient or change your business structure to support you rather than drain you completely? Share your story or tips in the comments below, or join me and other birth professionals in the free Inspired Birth Pros community. Sign up to receive this checklist to get you up and running, along with email updates containing business-building tips and occasional offers for products and services to help grow your business. Darlene MacAuley is a participant in the Amazon Services LLC Associates Program, an affiliate advertising program designed to provide a means for sites to earn advertising fees by advertising and linking to amazon.com. 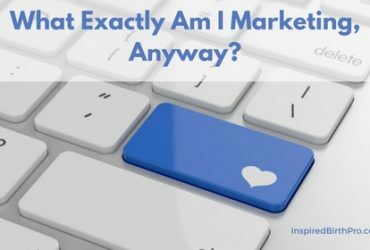 What Exactly Am I Marketing, Anyway? 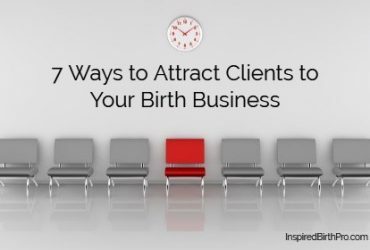 Grow your doula or birth business with tips on tracking your money, compliance with laws, managing your clients, and marketing your business. 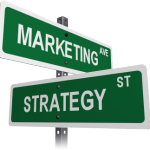 To attract new clients to your doula business, you need to develop and practice effective marketing strategies. 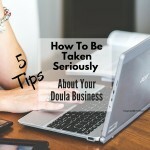 Get tips to market your doula business. 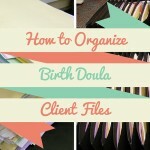 Part of having a thriving doula business is good time management. 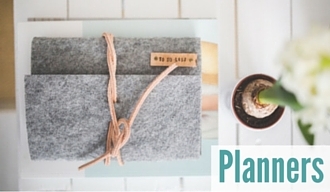 Get tips to increase efficiency and make the most of your time. 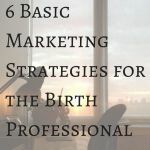 Learn from other birth pros like doulas, childbirth educators, and midwives who write guest posts on topics that help you grow your doula or birth business.